Sunflower symbolizes faithfulness, longevity and admiration. 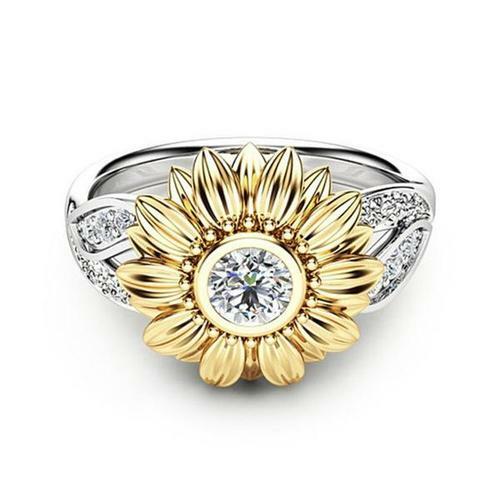 Inspired by one of the most pretty flowers, this Crystal Sunflower Ring blooms in charm and elegance. It is carefully handcrafted and features shimmering crystals set in a platinum plated ring.